Carol Boram-Hays teaches African art history, contemporary art and design and culture. 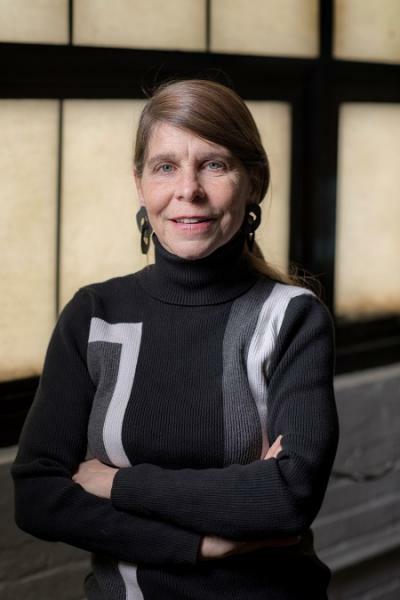 A sculptor and installation artist, Boram-Hays’ work has been nationally and internationally exhibited and has been featured in The New York Times, Landscape Architecture and Sculpture magazine. Boram-Hays has authored articles on Zulu beadwork and published the book Bringing Modernism Home: Ohio Decorative Arts: 1890-1960. The winner of several national and state awards, Boram-Hays completed an artist residency in Dresden, Germany in 2001. AB in biology, Washington University, 1985; MA in African art history, Ohio State University, 1994; PhD in African art history, Ohio State University, 2000. Online: www.carolboramhays.com.